Berkeley Homes is proud to do much more than build houses: we help build communities. As a longtime local builder, we use our time, our ideas, our materials, and lots of elbow grease to give back to the community we love. Our priority is helping people live and thrive in their own homes, becoming a network of neighbors, friends, and even colleagues. Among the Denver charities we support, we are proud to highlight HomeAid Colorado! This local organization builds housing for nonprofit care providers who serve transitional and homeless families and individuals. As builders, we help take care of the construction so the care providers can focus their energy and resources on providing direct services to the homeless. 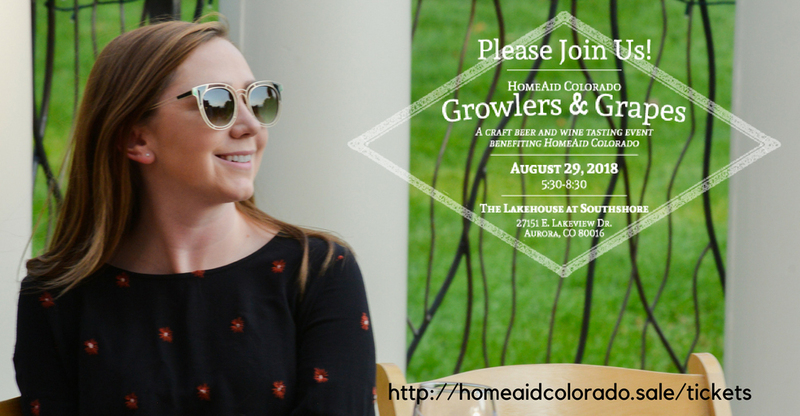 We invite you to join us in attending one of HomeAid premiere events, Growlers & Grapes 2018. This event will take place on August 29th, from 5:30-8:30 p.m., at The Lakehouse at Southshore. Attendants will enjoy a selection of wine, beer, and appetizers as well as an auction and plenty of evening entertainment. This special beer and wine tasting event will benefit HomeAid Colorado’s homeless housing and community outreach programs, supporting the current development of over $6 million of homeless housing. Grab your tickets now, and we will toast Colorado’s communities soon! Berkeley communities have a track record of giving back to the community they love. In collaboration with HomeAid Colorado and Volunteers of America (VOA) Berkeley Homes recently completed the third and final home in a project designed to house as many as five homeless female veterans and their children. Jeff Willis, President of Berkeley Homes, sits on the HomeAid Colorado board. Building a New House vs Buying Resale: Which Should You Choose? Two-Story vs. Ranch: What are the Advantages?